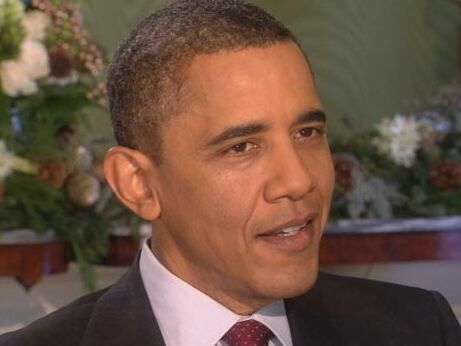 Obama: "I Think There's A Laziness In Me"
"It's probably from, you know, growing up in Hawaii and it's sunny outside, and sitting on the beach," President Obama also said on an interview with ABC News' Barbara Walters set to air Friday night on "20/20." In the full interview, set to air tonight, President Obama says that "nothing frustrates me more than when people aren't doing their jobs." Read the transcript below of President Obama talking about laziness. Barbara Walters, ABC News: "What's the trait you most deplore in yourself, and the trait you most deplore in others?" Obama: "You know, it's interesting. There is a deep down, underneath all the work that I do, I think there's a laziness in me. It's probably from, you know, growing up in Hawaii and it's sunny outside, and sitting on the beach. "The thing actually that I most dislike is cruelty. I can't stand cruel people." Michelle Obama says the thing that bothers her the most is when "people aren't willing to compromise." Obama On Divisiveness Between Him And Republicans: "You Never Want To Say It's All Them"